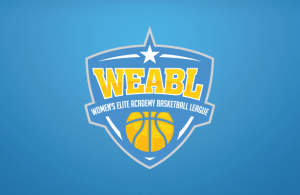 Barking Abbey rebounded from their loss last week for a 71-51 win over City of London Academy in WEABL action on Wednesday at BA. Led by 22 points from Charlotte Ellmore, BA jumped out to an early 20-4 lead to gain control, setting the tone at both ends of the floor whilst getting out in transition with an up-tempo game. The visitors fought back across the second and third quarters, getting the game back to single digits but wouldn’t get closer than 7 the rest of the game. BA needed to regain their composure in the fourth to hold off CoLA, needing big shots from Ellmore and Dami Adeyinka before reeling off a 9-0 run to finish the game for a scoreline that was not reflective of the competitiveness of the game. Zoe Willis added 12 points, whilst Adeyinka had 11. Chandera Jones-Aryeh led CoLA with 15, Kadijah Conteh had 11 and Maya Hyacienth 9. “This was the best our team has played this year,” BA Head Coach Karen Burton said. “Despite CoLA getting back into the game in the second and third quarters, we knew they would come back they are too talented a team not to be in the game at some point. “We managed to weather the storm and again apply pressure in final quarter to extend the lead to twenty. Really happy with the whole game today, the players came out with a different mentality that showed right from the start of the game. BA improved to 5-1 with the win, whilst ColA are 4-2.